On This Day 1918: Local man guilty of stealing over 167,000 cigarettes! Albert Humphrey, manager of the Central Stores of the Navy and Army Canteen board at Shoreham was found guilty for stealing 167,000 cigarettes, 22lb of tobacco, and 108 lb of soap with a total value of £332! 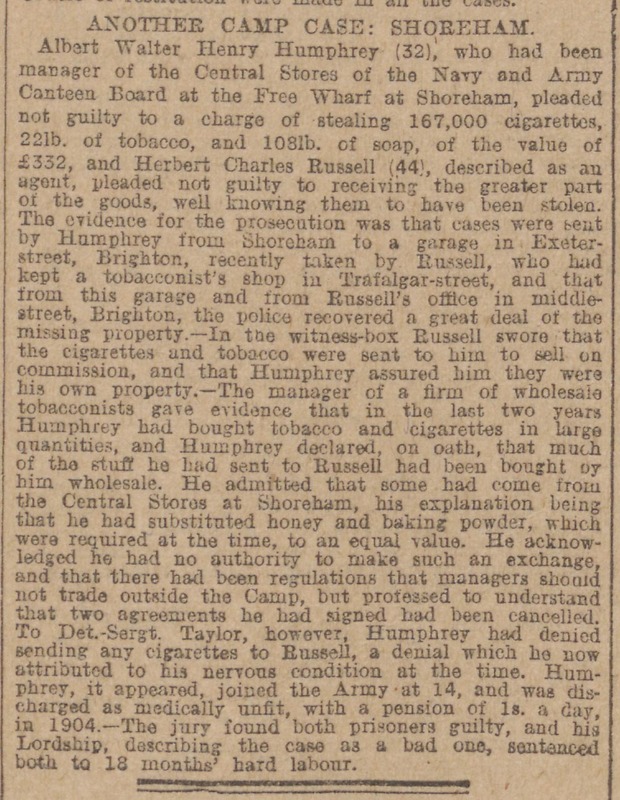 Humphrey had sold the goods to Herbert Russell but pleaded his innocence. Russel said he swore the goods were sent to him to be sold on commission. However, the jury found both men guilty, and his Lordship, sentenced them both to 18 months hard labour, calling the case “a bad one”. 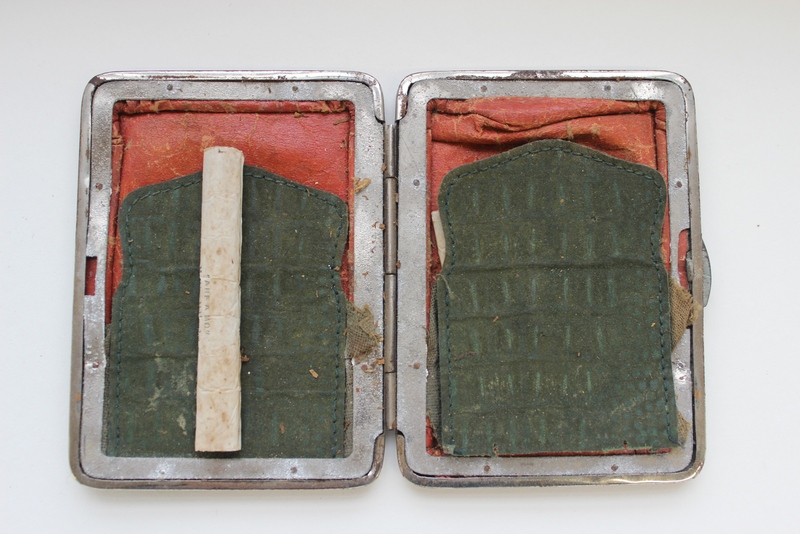 Shoreham trained soldier Edmund Goodchild’s cigarette case. Courtesy of the Trustees of the Suffolk Regiment Museum. Previous PostTrench Day with Shoreham Sea ScoutsNext PostOn This Day 1915: Those dreadful cinemas!